The latest offering from Chicago Teklife Juke/Footwork producer DJ Rashad is another astounding piece of forward thinking music. His third release, after ‘Rollin” and ‘I don’t give a F**k’ on London based label Hyperdub (Kode9, Burial), once again pushes the boundaries of modern day dance music. 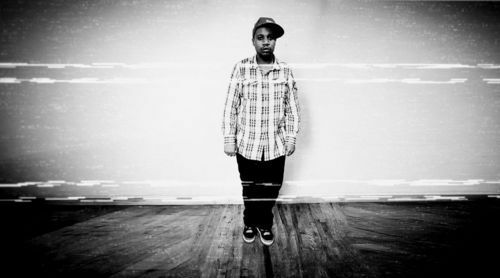 Rashad draws influence from a variety of sources: Trap, UK Bass, Southern Hip Hop, and Techno. All of which amalgamate into a high energy, high bpm, syrupy journey. The first half of the LP takes on a distinctly RnB flavour, with soulful vocal samples spliced into tracks in the typical Footwork manner. The last half of the album explodes into even more top form Juke, the UK’s bass scene comes through strongly here particularly on ‘Acid Bit’ and ‘Leavin’, whilst ‘I’m Too Hi’ incorporates Jungle/DnB into the mix. A sound that is already being toyed with by the likes of Om Unit alias Philip D. Kick, and other UK based Footwork artists. Nearly all the tracks on the LP feature collabs with other big names in the international and Chicago Footwork scene. DJ Manny, DJ Spinn, DJ Earl and Addison Groove all make appearances. Providing an unseasoned listener with other DJ’s to investigate. Double Cup never lapses in quality, although newcomers to the sound may find they need some time to adjust to jittery high paced beats and revved up samples. After two sick releases from DJ Rashad over the summer, Double Cup is far from a let-down. The Chicago based Juke/Footwork scene is slowly shifting from the underground and is in the process of blowing up across Europe and the world with frequent Footwork nights in Bristol, London, Paris, Czechoslovakia and Poland. Hell, Rashad even features on FlyLo’s radio station in GTA V. Jump on this ish. Stay Tek.